These of some of the ones I found......everyone feel free to add you own requests. This Challenger-class seem to originate with a 1992 TNG comic entitled "Thin Ice" which depicted a supposedly Challenger-class U.S.S. Marco Polo, although the appearance of the ship in the comic is quite different from the schematic of the fan-envisioned deisgn. Claymore,U.S.S. Atheorhaven is working on itFederation starship, operated under the authority of Starfleet Intelligence. This ship is a four-deck scout, but has a large sensor plate for long range emissions testing and information interception. (Star Fleet Intelligence--Agent's Orientation Sourcebook [FASA RPG]). Federation starship, prototype for the Baker-class destroyer. (Federation Starship Recognition Manual [FASA RPG]). B'tly, U.S.S. RAGE has it, needs texturesFederation starship, Decker-class heavy destroyer, Starfleet registry NCC-6037. Named for Irkin B'tly. Built in 2348, the B'tly went missing in 2363. (FASA Officer's Manual [TNG]). Federation starship, Daran-class fast frigate, Starfleet registry NCC-3201. The Daran was built by Aria Mastac's Prime Dockyards on Daran V, the first vessel of its class. The keel was laid down on stardate 5915.3, and the vessel was launched on 6075.1 and commissioned on 6108.73. The Daran was one of four starships that faced the fleet of the bounty hunter Sweeney in a 2288 battle over Tau Gamma II, along with the Avenger, Enterprise-A and Exeter. ("Going, Going..." [DC TOS vol.2 #8; "... Gone!" [DC TOS vol.2 #9]; Ships of the Star Fleet). Federation starship, Starfleet registry NCC-74121. The Elkins was one of the vessels that fought in the Dominion War. (Technical Manual [DS9]). A photo of this ship reveals it is comprised of a modified Intrepid model with Constitution refit nacelles, Danube runabout nacelle pylons and, shockingly enough, either a backwards Star Wars A-Wing or an F-16 as the secondary hull. The ship was apparently named for DS9 staffer Judy Elkins, and used in background fleet scenes during Dominion War story arcs. This photo is a corrected modification of the Technical Manual picture, edited by Bernd Schneider of Ex Astris Scientia. Mann-class. Antivyrus has it, needs texturesType of Federation starship used in the 2220s. The Klingon Empire called this class 'hokot' in intelligence reports. Ships built of this design include the Poseidon, Endurance and of course, the Mann . ("The Final Reflection" [Pocket TOS]). Federation starship, Cygnus-class scout, Starfleet registry NCC-621. Second starship to bear the name. The construction of this vessel was authorized by an appropriation of Mk-VIIB scouts on stardate 5099. The Columbia was ordered by Commodore Probert to rendezvous with the starship Revere on stardate 7412. ("The Motion Picture" [Movie #1]; Technical Manual [TOS]; Federation Starship Recognition Chart). 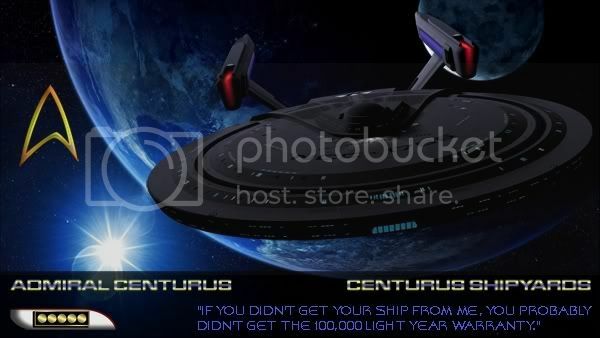 Converted, now at BattleclinicThe captain's yacht docked on the starship Enterprise-E. Captain Picard illegally detached this vessel in 2374 in order to ferry equipment to the Ba'ku to help them defend themselves from a So'na invasion that was supported by a Starfleet admiral. ("Insurrection" [Movie #9]). Abrams, U.S.S. RAGE has it, needs texturesFederation starship, Hardin-class heavy cruiser, Starfleet registry NCC-8001. Built on Argelius II in 2330. (FASA Officer's Manual [TNG]). Federation starship, Cochise-class destroyer, Starfleet registry NCC-549. (Technical Manual [Franz Joseph TOS]). Federation starship, Dollond-class transport/tug, Starfleet registry NCC-3925. (Technical Manual [Franz Joseph TOS]). Adjuvant, U.S.S. RAGE has it, needs texturesFederation starship, Ariel-class shuttlecarrier, Starfleet registry NCC-2202. (Ships of the Star Fleet [Mastercom]). Shuttlecraft 02 on the starship Enterprise-D. The Einstein was dragged into a wormhole while en route to Beta Hydros IV and deposited in the Delta Quadrant in 2367. The crew of the shuttle was stranded in a alien junkyard until they managed to use a derelict transwarp vessel to propel themselves home. ("The Flight of the Albert Einstein" [DC TNG vol.2 #20]; "Mourning Star" [DC TNG vol.2 #21]; "Trapped" [DC TNG vol.2 #22]; "The Barrier" [DC TNG vol.2 #23]; "Homecoming" [DC TNG vol.2 #24]). Amalthea Rex, U.S.S. RAGE has it, needs texturesFederation starship, Brande-class frigate, Starfleet registry NCC-9003. The Amalthea Rex was built by Starfleet in 2291 at Gibraltar on Terra. (Officer's Manual [FASA TNG]). Argo. 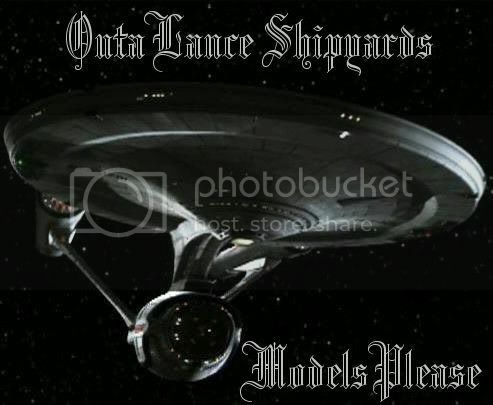 Converted by MP, now at OutaLance ShipyardsShuttle used aboard the starship Enterprise-E. The Argo is a large carrier used to transport heavy equipment to a planet's surface. In 2378 it was used to transport a ground vehicle that was to be used by Picard, Worf and Data to the surface of a planet. ("Nemesis" [Movie #10]). Nomad.Wulf111 doing meshTerran space probe launched in 2002. ("The Changeling" [TOS]). Type of Federation starship. (Federation Starship Recognition Chart). Civilian space vessel, a Whorfin-class transport. The Robert Fox, named for a famous Federation diplomat, was carrying El-Aurian refugees in 2293 when it became ensnared in the Nexus and destroyed. ("Generations" [Movie #7]). Federation starship, Caracal-class cruiser, Starfleet registry NCC-752. The Spartan's keel was laid down on 11 July 2181, and the vessel was launched on 4 February 2184 and commissioned on 5 October, that year. This vessel was decommissioned on 29 April 2230, and scrapped the next year. Federation starship, a Centaurus-class courier, commanded by Jack Casden. ("Cloak" [Pocket TOS Section 31]). Early interstellar exploration vessel that was lost at the Galactic Barrier in 2065. Shortly after contact with the barrier, at least one crew member mutated into a godlike being, forcing the ship’s captain to order the Valiant destroyed to prevent the escape of the mutated crew member. ("Where No Man Has Gone Before" [TOS #1]; "Valiant" [Pocket TNG]). Federation starship, Royal Sovereign-class strike cruiser, Starfleet registry NCC-3010. The sixth Federation starship known to bear this name. (Officer's Manual [FASA TNG RPG]). ModelsPlease, resident "Model Junkie" recovering from a tragic crayon sharpener accident. Chuck Norris floats like a butterfly and stings like a tomahawk missile. At mach 3. In the face. Puu jok' unhoittaa juurensa, kaatuu. The tree that forgets its roots, will fall. romulan warbird A is more than easy to bash and i ABSOLUTELY LOVE USS CLAYMORE! "Integrity is doing what is right even when the outcome is already known." Hmmmmm, no I wonder where there may be an Argo mesh available?? Perhaps even an Aeroshuttle remake (although this ones already been done, I thought this might be useful as a 3700+ poly updated mesh for BC. Perhaps it could be converted to SFC3 format as well, but I dont' think the ship is armed)?? AH, I don't play BC, no wonder I wasn't aware the Argo was out there. I wonder why no one has converted it to SFC yet ???? The Aero shuttle I know is up at Battleclinic. Very cool, I hope this means you'll consider doing it. "there will be no better worlds with human presence as mankind tends to ignorance, intolerance and selfishness, despite they tell you about themselves"
I have to admit ... that Rommie looked pretty cool ! Now you've done it ! You get him all fired up .... and there aint no tellin' what you'll start ! Keep us posted Captain Pierce. I updated my posts to let everyone see how this thread is going and I'm stoked about the responses. If anyone wants to tackle any textures just let us know, as you can see, a few of these ships need some help. It's killing me that I can't help with textures right now. I'll keep on looking for new stuff. And if anyone else wants to post a unique ship, feel free to do so. I went ahead and Stickied this thread. BTW, Ithink this is a wonderfull Project indeed. Thank you sir, it is most appreciated. I have recieved more news on other ships in this post so everyone keep checking back and I'll let everyone know where we stand on each ship. SO everyone keep looking I know there's plenty more ships out there. Bow before the power of my rubber chickens!!! Master of the Rubber Chicken!!! The pen is truly mightier than the sword. And considerably easier to write with. Page created in 0.653 seconds with 31 queries.